Global insurance and reinsurance losses from natural catastrophes reached $76 billion in 2018, the fourth highest in reinsurance firm Swiss Re’s sigma records. But over the two years of 2017 and 2018 global insured catastrophe losses reached a new record high level at $219 billion. 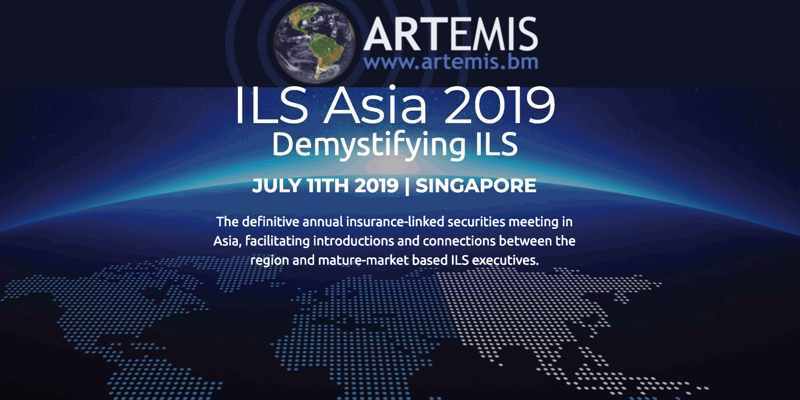 Given the record level of catastrophe losses suffered around the globe over the two years, it is no surprise the impact to the insurance-linked securities (ILS) sector has been so significant and continues to affect ILS funds and collateralised reinsurance vehicles to this date. “The catastrophe loss experience of the last two years is a wake-up call for the insurance industry,” Swiss Re said this morning. But it’s not just the typical so-called primary catastrophe perils that have driven the record level of losses suffered, Swiss Re highlights the impact of so-called secondary perils, which it says have driven more than 60% of the insured losses in 2018 and over half in the prior year of 2017. “Losses from secondary perils are rising due to urbanisation, rising concentration of assets in areas exposed to extreme weather conditions, and climate change,” the reinsurer explains. For 2018, Swiss Re’s sigma recorded total man-made and natural catastrophe economic losses of $165 billion, which resulted in insured losses of $85 billion, $76 billion of which were due to natural catastrophes and $9 billion man-made loss events. For insurance and reinsurance interests, 2018 was the fourth highest one-year aggregate industry pay-out ever, Swiss Re said, which was also above the previous 10-year annual average of $71 billion. Secondary peril effects drove the largest share of losses, at 60% in 2018, which the reinsurance firm says can be overlooked as they tend to be underestimated with their impact often masked by losses caused by primary events, as noted to have been the case in 2017 with Hurricanes Harvey, Irma and Maria. But the growing loss potential from secondary perils is becoming ever more apparent, Swiss Re explains. Secondary perils are either independent high-frequency, low-to-medium severity loss events (relative to losses from primary perils) such as wildfires, river floods thunderstorm, drought, winter storms outside Europe etc. Or, these are events occurring as the secondary effect of a primary peril, such as tsunamis, hurricane induced precipitations, storm surges, liquefaction, fire following etc. After 2017 and 2018 is hard to think of the wildfire peril as anything other than primary, but it remains broadly considered a secondary peril still despite the record losses two years in a row. “Secondary peril-losses will accelerate due to ongoing urbanisation, also in areas exposed to flooding such as along coast lines and in river plains, development in areas vulnerable to fire risk like wildland-urban interface, and also because of long-term climate change projections,” Edouard Schmid commented. More than half of the annual losses suffered during the record period of 2017 and 2018 were from so-called secondary perils. Also of note, Swiss Re highlights that over half of the economic losses suffered over the two-year period was not insured, resulting in a protection gap of $280 billion, higher than the $219 billion of losses that were covered by insurance and reinsurance. Over half of that protectiom gap figure was due to secondary perils impacts as well, suggesting that secondary peril impacts may even be less insured than primary, on a percentage basis.